Since the beginning of the company, we have been pioneers in the use of new information technologies in land management. The department of GIS, besides having its own project it actively participates in the majority of the projects, using GIS and GNSS (in the creation of geographic data, maps or multi-criteria analysis). The use of these tools is the hallmark of our company, resulting in enhanced projects, from the analysis of data until the presentation of results. Within the land information technologies, we pay special attention to the use of remote sensing with satellite images and aerial orthophotos. We have been exploiting the potentialities of this technology for several years. Within the existing remote sensing tools we feel comfortable using technologies such as object-oriented analysis or the technique of machine learning classification. During the last years, the LiDAR technology has been postulated as a very useful source of information to complement remote images. At Tecnosylva we have realised this and therefore we have started to integrate products obtained from LiDAR in our remote sensing works. 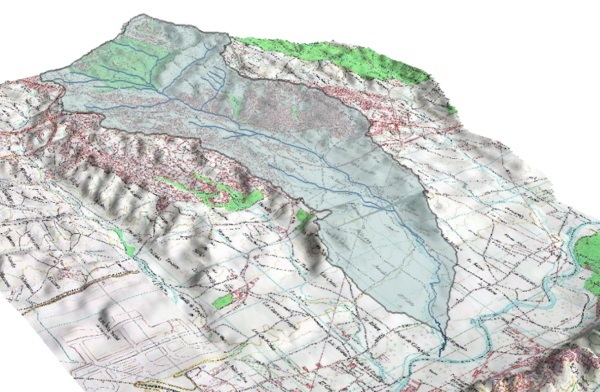 Within the cartographic information services, we did not get stuck in the analysis through the use of commercial desktop software, instead we have followed a continuous learning approach. Currently we offer complex cloud mapping services, the feeding of servers and cartographic databases, as well as specific geoprocesses.